If you’re considering becoming a foster parent with Refugees Northwest Foster Care, you likely have a number of questions. Read on to find answers to some of the most common questions we hear, or download a pdf copy of our Foster Parent FAQs. Youth are typically between the ages of 16-17 when referred to our program. They must enter care prior to turning 18, and can remain in care until turning 21. We occasionally but infrequently place younger youth in care, usually accompanied by a teen sibling. Where do youth come from? Youth come from all over the world seeking refuge and safety in the U.S. Some come directly to foster homes from refugee camps overseas, while others are referred from short term shelters and foster care programs for immigrant youth who arrive in the U.S. alone. Recent countries of origin include Honduras, Guatemala, El Salvador, Mexico, Myanmar (Burma), Eritrea, Afghanistan, and Democratic Republic of Congo. In extremely rare circumstances, youth may be adopted. Regardless of whether adoption takes place, our goal is to find “forever families” for every foster youth, so they may return home to celebrate holidays, seek support, or simply to visit. What are the eligibility requirements for licensing? To begin licensing, you must be at least 21 years old, live in or near King County, have adequate space in your home (home ownership is not required), and have sufficient income to cover the needs of your own family. Do you work with LGBTQ individuals and couples? Yes! We actively welcome foster parents from diverse backgrounds, including sexual orientation and gender identity, in order to make our program stronger. Additionally, we welcome individuals and couples, regardless of marital status. Do I have to be Lutheran to license with your program? No! While Refugees Northwest Foster Care is a program of Lutheran Community Services Northwest, neither discriminates on the basis of religion. In fact, we welcome individuals and couples of many faiths, or no religion at all. This applies to foster parents, foster youth, volunteers, and staff. What are the steps of the licensing process and how long does it take? Prior to beginning the licensing process, interested individuals and couples attend Info Night (our orientation) followed by a one-on-one Intake Interview. Then, the licensing process is completed, which includes background checks, training, home visits, and a home study as well as completion of additional documentation and agreement to the state foster care policies. The licensing process can take 90-120 days. What is the process of having a youth placed in my home? During the licensing process, we’ll get to know you and will discuss the youth that would be the best fit with you. We will share referral information with you for youth that seem like a potential match. If you agree to the placement, the planning for a youth’s arrival begins. Our staff will support you and the youth through each step of the process! Can I take youth on trips out of the state or country? Generally, youth can travel out-of-state with their foster parents if approved by the social worker. While it is possible for youth to legally travel outside of the country once they have received their green card, this is generally very rare and requires consultation with an immigration attorney, application of applicable visas, and court authorization in addition to social worker approval. If you will be traveling without youth, you can arrange with program staff for youth to stay in respite care for up to two weeks. What are common qualities of a successful foster parent? While each parent brings their own unique strengths, successful foster parents share many common qualities, including flexibility, commitment, cultural sensitivity, openness to learning and growth, patience, compassion, understanding, advocacy, responsibility, accountability, and of course, a sense of humor! How does Refugees Northwest support its foster youth? Each youth is matched with a dedicated social worker who guides and supports them throughout their time in care. Youth receive immigration and legal counsel, full medical and dental coverage, access to mental health resources/counseling, volunteer tutors, and ongoing community and skill-building opportunities. Additionally, youth are eligible for and supported in accessing a number of funding sources to cover educational and other expenses that arise as they transition into independent living. 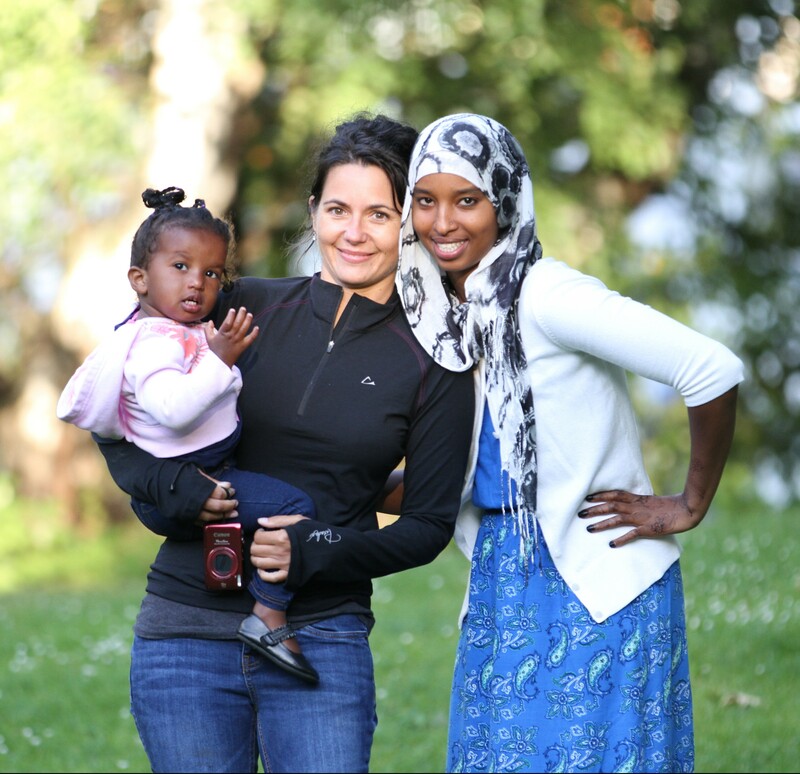 How does Refugees Northwest support its foster parents? Our small program size allows us to provide each foster family with individual support, every step of the way. Foster parents are guided by a team of experienced staff and an assigned social worker. They receive a monthly reimbursement to cover the youth’s costs and allowance, access to respite care for breaks and travel, and monthly support and training opportunities tailored to their unique needs. Ready to continue learning more? Join us for our next Info Night! For upcoming dates and locations, contact us today! Change The Life Of A Child! "Is it really hard some days? Yes. But it is also so gratifying! And fun too.